When I first started writing poetry, I didn't read much poetry at all. It wasn't until I began maturing as a poet that I gained the confidence to not only read the work of past poets, but to study them in order to come to know more about poetry as an art form. Discovering the lives of women poets who have lived before me has been particularly inspiring to me, so much so I started a series of profiles of women in literary history. I like to call them our Literary Grannies. 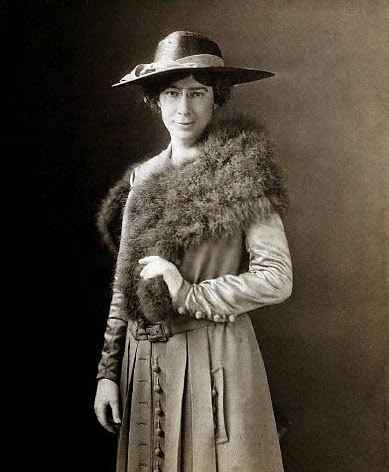 Today let's meet Sara Teasdale, a Pulitzer prize winning lyrical poet who lived from 1884 - 1933. I love how mysterious she looks here. For now, we will focus on Millay's lyrical contemporary, Miss Sara Teasdale. She was born in 1884 in St. Louis, Missouri. She was unhealthy as a child so she didn’t start school until she was nine-years-old. She came from a wealthy family who was able to both provide for her and take care of all her needs. She went to the prestigious Hosmer Hall, an all girls school in St. Louis. Zoe Akins, celebrated playwright, also attended Hosmer Hall at this time. Teasdale created a women’s literary society with some of her teen friends which they called “The Potters.” They even published their own literary journal The Potters Wheel where Sara received her first publishing credits. She looked to several different poets as well as actress Eleanora Duse as role models and inspiration for her writing. Among her favorites were Christina Rossetti, Mary Robinson and Emily Dickinson. 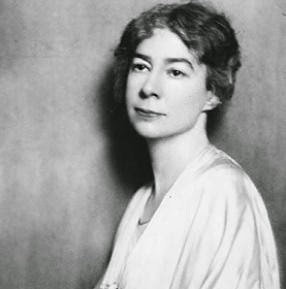 She won the Pulitzer Prize in 1918 (which was then called Columbia University Poetry Prize). Today’s readers might find her early twentieth century style out of flavor. I ask you read it as if it was just written today. Hold the words lightly and see what these words written one-hundred years ago by a young, inspired poet may teach you now. Many of her lyrics are love poems inspired by two men: one she married (Ernst Filsinger) and one who adored her and ended his life with suicide in 1931 (Vaclev Lindsay).She divorced Filsinger, who offered financial stability in addition to her wealthy family, in 1929. 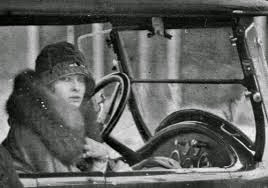 Some sources say it is her seven year friendship with young poet Margaret Conklin that caused the marital split. On January 29, 1933, Sara Teasdale followed other creative people including her one-time love, Vaclev Lindsay, into suicide. She overdosed on barbiturates and climbed into the bathtub, yet another tragedy upon yet another creative woman. * Parts of this blog post were originally published as a part of the Literary Women from A to Z series in 2012. -- Julie Jordan Scott is a creative life coach, award-winning story teller, actor, director and Mommy extraordinaire. Read more of her inspirational writings at her blog, Julie Unplugged, and watch for the grand opening of her new blog in Mid-September. Great post. Very intriguing woman and oh what another tragic loss. Is it that poets feel too much, that they find themselves on the precipice, and decide it's easier to fall off the ends of the earth rather than stay and share their brilliance with the world. Of course they probably don't see the light that shines from them that other's treasure. I know I often feel morose and I'm working on feeling happier more often. Thank you Julie, for this insight into an extraordinary woman. Her words are beautiful. I wonder if she realized how much she touched people?